With the 12th overall selection in the 2018 MLB Draft, the Blue Jays have made shortstop/third baseman Jordan Groshans the most recent addition to their farm system. It’s a selection that came completely out of left field. With Matthew Liberatore, Cole Winn, Brady Singer, and even Nolan Gorman — if the Jays wanted an infielder — all available, the Jays went with Groshans out of Magnolia High School in Texas. Groshans was the 28th ranked player on the FanGraphs board, but just 31st, 38th, and 51st by MLB Pipeline, Baseball America, and Keith Law, respectively. Groshans is projected by both FanGraphs and MLB Pipeline to have five tools with a 50 grade or better, with both offering future 55 grades on his power. This is based largely on projection, as despite standing an impressive 6-foot-4 and weighing in at 190 pounds, his swing is quick and contact oriented with a level plane through the strike zone. His stance has quieted down noticeably this year, as in his Sophomore and Junior years in high school, the infielder featured a leg kick in his load and more of an uppercut. FanGraphs believes these mechanical adjustments may need to be reconciled once he receives professional coaching to help unlock that power potential. Groshans has shown an ability to hit upper-level velocity on the showcase circuit over the past year, but FanGraphs cautions there is some swing-and-miss in his game despite otherwise impressive bat control, making him what they describe as a “boom or bust” prospect. Defensively, the Blue Jays will likely give Groshans a shot to stick at shortstop. It’s something they did in the past with Bo Bichette despite the public industry contending he’d be a second baseman in short order, and that’s inarguably worked out in Toronto’s favour thus far. He possesses an above average arm and average speed, so Groshans should remain on the left side of the infield regardless of what the Blue Jays inevitably decide as the 18-year old physically matures. 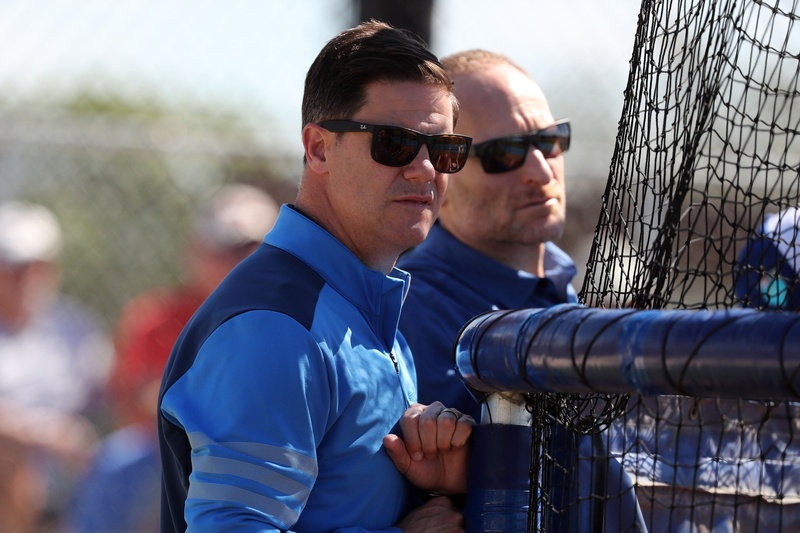 With Groshans going earlier than expected, one would hope the Blue Jays selected the infielder with a deal in place for less than the 4.2 million USD allotted for the 12th overall pick. In the preview this morning, I mentioned the first two picks must be viewed in tandem. If Toronto did in fact save some pool money with Groshans, they could potentially make a 2-plus million USD offer to another first round caliber talent who slides to 52nd overall. Stay tuned! Any thoughts as to the validity of the idea that Groshans and Adam Kloffenstein are a package deal, with the latter getting a well overslot bonus? I mentioned in the piece that I expected Groshans would be below slot, and the Kloffenstein selection made that abundantly clear (even before Kloff specifically mentioned Groshans was taking less to make it work). They absolutely were a package deal. The Jays passing on a sliding Liberatore now makes a whole lot more sense. The Groshans/Kloffenstein package is something that the Jays would have sorted out well in advance of the draft, and they couldn’t back out of the agreements to snag Liberatore without long-term repercussions to the organization’s reputation.